1. Don’t hire them in the first place. Ask questions in the job interview like, What are some examples of where you used initiative on the job.? Can you tell us about a problem you solved at work without management’s involvement? Define the word assertiveness and tell us how it applies to your life. 2. Ask for input into decision making. Now here’s the hard part: if your employee has an idea which differs from yoursand you are convinced, that while yours is better, doing it the employee’s way won’t be fatal, then let them try. Why? Because it was their idea, and they are more committed to it than to yours. 3. If your mind is made up, tell your people that, and don’t ask for input. 4. Seeking differing opinions is a positive because you might come up with a better – even novel – solution. 5. Seeking and implementing the ideas of others is also motivational. It involves creativity and ownership of ideas and methodology. 7. Never shoot the messenger. Finally, to minimize the number of yes people, never shoot the messenger. A manager needs to hear the bad news more than the good news. It is tempting to get angry when receiving bad news, but it should be resisted. 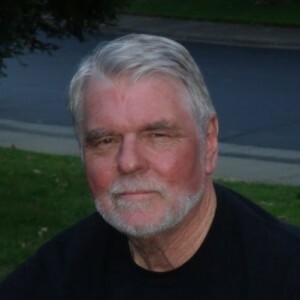 Dr. L. Michael Tompkins founded Straight Ahead Management in 1981. Serving, business, government, industry, education and healthcare, the firm provides no-nonsense solutions to clients with management development, conflict resolution, team building, and strategic planning.